Part of West Bali National Park, Menjangan Island was Bali’s first internationally-known diving location. Famous for wall-diving with easy conditions, Menjangan Island is 30 minutes by local boat from mainland Bali and offers warm waters with stunning visibility that can reach 50m+. The island’s white sand beaches provide good, and well-protected, snorkelling opportunities. On the Menjangan dive sites, walls go from 10 to 26-60m+ and are full of nooks and crannies, overhangs and crevasses with soft corals, sponges, and Bali’s highest concentration of Gorgonian seafans (some with pygmy seahorses). The fish life is prolific and turtles are regular visitors. Although Whalesharks may be sighted, pelagics are fairly rare here as the island is protected from the cold ocean currents felt at some other Bali dive sites. AquaMarine’s deepest dive at 40m but the conditions at the Anker Wreck are so calm that we feel comfortable taking advanced divers to explore this mysterious relic. In addition to a large sand area full of Garden eels, Garden Eel Point also has a great wall dive and provides good conditions for divers of any level. 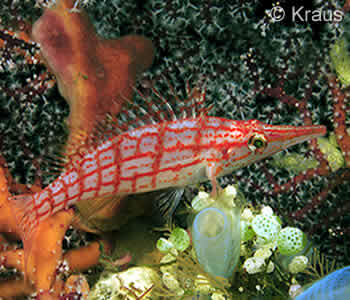 Pos II offers a gentle drift dive along Menjangan Island’s south coast. Approximately thirty five years ago, Menjangan Island became Bali’s first internationally-recognised dive location, famous for its wall-diving with great visibility (50m at certain times of the year). Menjangan’s walls generally start at 10m and descend to varying depths (the shallowest being 26m, the deepest 60m+). They are flooded with sunlight; full of small nooks and crannies, overhangs, and bigger cavelettes, crevasses, etc; covered with soft corals, sponges and offer the greatest diversity of gorgonian fans in Bali. Menjangan Island can be dived all year round and provides some of the best visibility seen in all of Bali’s dive sites. Even though it may not offer a wide variety of marinelife, massive pelagics or challenging drift dives like other sites, it’s a reliable location for enjoying some of the best soft corals, gorgonians, standard reef fish species and even its own humble wreck. Visibility here is so good that it can often reach over 50m, and sea temperatures are quite warm at 28-31°C. Wall diving is very popular here and with some of the walls plunging to depths of 60+m, there is always a lot to see. 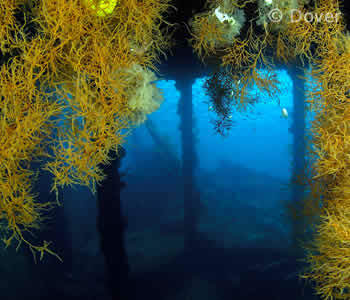 Due to lack of currents, the walls are covered in gorgonian fans which attract high numbers of small fish. Further along the walls are tempting little crevices, cracks and hiding places providing constant discoveries, activity and marinelife. 30 min. boat from mainland Bali. Beautiful vertical walls, warm water, white sand. Being wall-diving, Menjangan dive sites have the highest rate of DCS of any Bali dive location. Be a SAFE Diver (Slowly Ascend From Every dive) and do your safety stops. Coral-clad walls, white sand, grottos; possibility of turtles. Anker Wreck at 40m. Although the best diving in Menjangan Island is said to be from April to November (during the south east monsoon), the island can be dived year round as it offers some of the most protected diving in Bali. The clarity of the water can at times be amazing, July to September often yields the best visibility and a current of more than 1 knot is unusual. However, as Menjangan is protected from the cold currents coming in from the open sea, there are only rare sightings of larger fish. Book Your Bali Diving - Menjangan Today!